I'm a unicorn, silly! LOL Sounds like you better keep your wife around. Hi Kenny! Happy halloween. 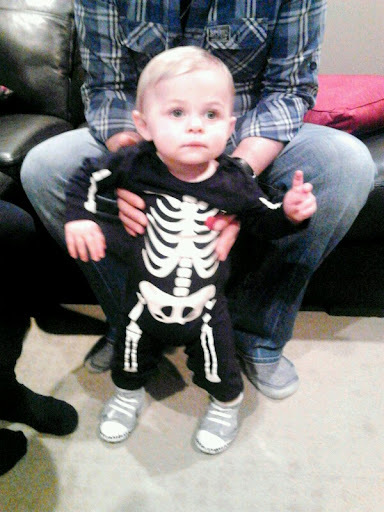 Lou had the same costume :) We bought it on our trip to London. Halloween is actually not such a big thing here in Belgium, but it's getting more popular every year. Miloh looks adorable as always!